John Enders (1897- 1985) was one of the subjects of a recent posting, Vaccine Research Using Children (1). 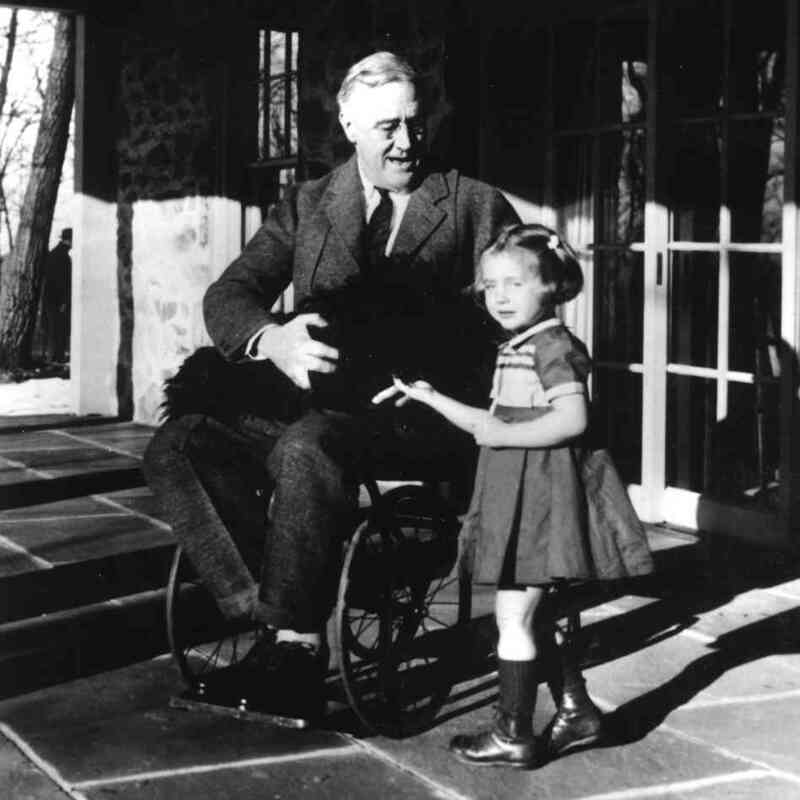 In the 1950s, Enders used severely handicapped children at the Walter E. Fernald State School in Massachusetts to test his measles vaccine—a vaccine that may have saved well over 100 million lives. Irrespective of the ethical issues raised by the incident at the Fernald School, Nobel laureate John Enders was one of the most highly renowned of virologists, and there is much more to his story, some of which is told here. Enders grew up in West Hartford, Connecticut. His father, who was CEO of the Hartford National Bank, left the Enders family a fortune of $19 million when he passed away. Thus, John Enders became financially independent, which may help to account for his rather atypical path to a career in biomedical research. Enders was under no pressure to decide on a vocation, and had no particular objective in mind when he enrolled at Yale University in 1915. In 1917 (during the First World War) he interrupted his Yale studies to enlist in the Naval Reserve. He became a Navy pilot and then a flight instructor. After three years of naval service, Enders returned to Yale to complete his undergraduate studies. After Enders graduated from Yale he tried his hand at selling real estate in Hartford. However, selling real estate troubled him, in part because he believed that people ought to know whether or not they wanted to buy a house, rather than needing to be sold (2, 3). Thus, Enders considered other callings, finally deciding to prepare for a career teaching English literature. What might have motivated that particular choice? Here is one possibility. During the years when Enders was growing up in West Hartford, his father handled the financial affairs of several celebrated New England writers, including Mark Twain. [The young Enders always admired Twain’s immaculate white suits whenever he visited the Enders home (3).] So, perhaps Enders’ early exposure to eminent writers among his father’s clients planted the seed for his interest in literature. In any case, Enders enrolled at Harvard to pursue graduate studies in preparation for his new calling. Enders received his M.A. degree in English Literature from Harvard in 1922. Moreover, he was making substantial progress towards his Ph.D., when his career took yet another rather dramatic turn; one reminiscent of that taken later by Harold Varmus, who likewise did graduate studies in English literature at Harvard, with the intent of becoming an English teacher (4). The changes in the career plans of both Enders and Varmus—from teaching English literature to biomedical research—were prompted by the friends each had who were at Harvard Medical School. Varmus’ friends were his former classmates from Amherst College. Enders first met his friends from among his fellow boarders at his Brookline rooming house. Dr. Hugh Ward, an instructor in Harvard’s Department of Bacteriology and Immunology, was one of the friends Enders met at his rooming house. Enders wrote, “We soon became friends, and thus I fell into the habit of going to the laboratory with him in the evening and watching him work (5).” Enders was singularly impressed by Ward’s enthusiasm for his research (5). During one of the trips that Ward and Enders made to the laboratory, Ward introduced Enders to Hans Zinsser, Head of Harvard’s Department of Bacteriology and Immunology. Zinsser was an eminent microbiologist, best known for isolating the typhus bacterium and for developing a vaccine against it. Enders soon became fascinated by the research in Zinsser’s lab. So, at 30-years-of-age, and on the verge of completing his Ph.D. in English Literature, Enders changed career plans once again; this time to begin studies toward a doctorate in bacteriology and immunology, under Zinsser’s mentorship. Enders was awarded his Ph.D. in Bacteriology and Immunology in 1930. Afterwards, he remained at Harvard, as a member of the teaching staff, until 1946, when he established his own laboratory at the Children’s Medical Center in Boston. Why might Enders have been satisfied staying so long at Harvard, for the most part as Zinsser’s underling? Perhaps that too might be explained by his financial independence. In any case, in 1939, while Enders was still at Harvard, he initiated the singularly significant course of research for which he is best remembered. In 1939, in collaboration with Dr. Alto Feller and Thomas Weller (then a senior medical student), Enders began to develop procedures to propagate vaccinia virus in cell culture. After achieving that goal, the Enders team applied their cell culture procedures to propagate other viruses, including influenza and mumps viruses. Enders and his coworkers were not the first researchers to grow viruses in cell culture. However, they were the first to do so consistently and routinely. Thus, the Enders lab launched the “modern” era of virus research in vitro. 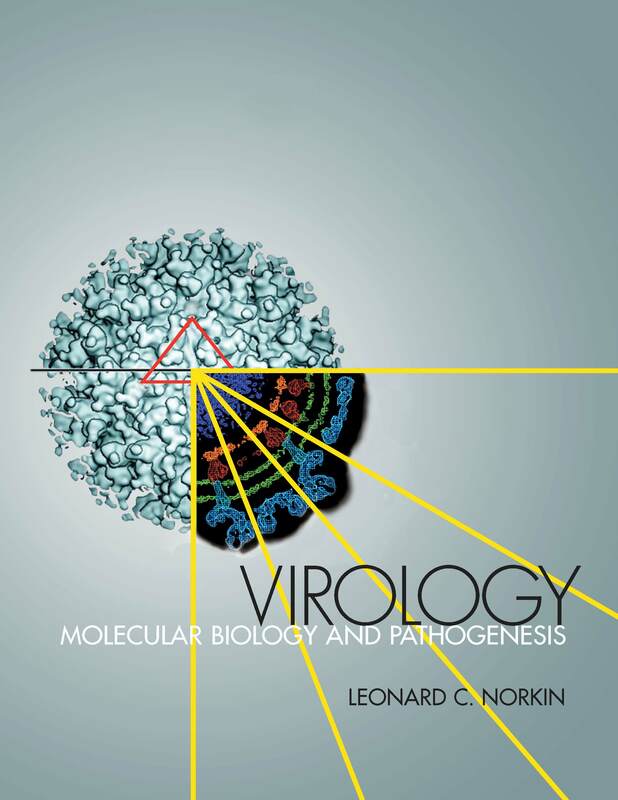 Virology could now advance much more quickly than before, since most virologists would no longer need to grow, or study their viruses only in live animals. A recurrent theme on the blog is that key scientific discoveries may well be serendipitous. The case in point here was the unforeseen 1949 discovery by Enders and his young collaborators, Tom Weller and Frederick Robbins, that poliovirus could be grown in cultured cells. That crucial discovery made it possible for Jonas Salk and Albert Sabin to generate a virtually unlimited amount of poliovirus and, thus, to create their polio vaccines. Importantly, the discovery happened at a time when polio researchers believed that poliovirus could grow only in nerve cells. Their dilemma was that nerve cells could not be cultured in the laboratory. Enders, Weller, and Robbins were not working on polio, nor did they have any immediate intention of working on polio when they made their finding. In fact, when the thirty-year-old Robbins (see Aside 1) came to work with Enders, he proclaimed that he wanted to work on any virus, except polio (6). The Enders team was trying to grow varicella (the chicken pox virus) when, on a whim; they made their critical discovery. It happened as follows. While attempting to propagate varicella virus in a mixed culture of human embryonic skin and muscle cells, they happened to have some extra flasks of the cell cultures at hand. And, since they also had a sample of poliovirus nearby in their lab storage cabinet; they just happened to inoculate the extra cell cultures with polio virus. The poliovirus-infected cultures were incubated for twenty days, with three changes of media. Then, Enders, Weller, and Robbins asked whether highly diluted extracts of the cultures might induce paralysis in their test mice. When those highly diluted extracts indeed caused paralysis in the mice, they knew that poliovirus had grown in the cultures. See Aside 2. Despite the exceptional significance of their discovery, Robbins said, “It was all very simple (6).” Weller referred to the discovery as a “fortuitous circumstance (6).” Enders said, “I guess we were foolish (6)”—rather modest words from a scholar of language and literature. See Aside 3. In 1954, Enders, Weller, and Robbins were awarded the Nobel Prize for Physiology or Medicine for their polio discovery. Interestingly, they were the only polio researchers to receive the Nobel award. 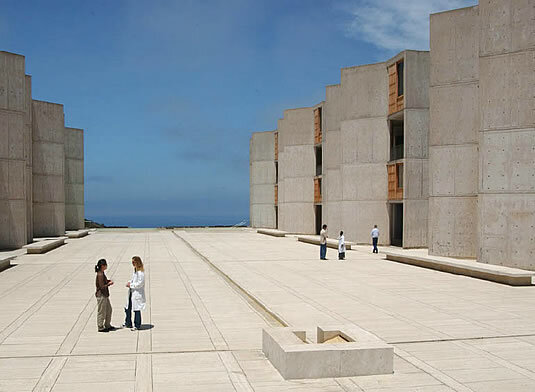 The more famous Salk and Sabin never received that honor (8). 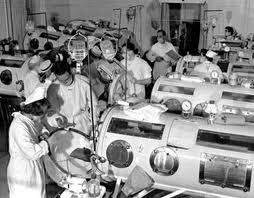 If Enders were so inclined, might he have produced a polio vaccine before Salk and Sabin? Weller and Robbins wanted to pursue the vaccine project, and Enders agreed that they had the means to do so. In fact, Weller actually had generated attenuated poliovirus strains by long-term propagation of the virus in culture; a first step in the development of a vaccine (3). Yet for reasons that are not clear, Enders counseled his enthusiastic young colleagues to resist the temptation (6). See Aside 4. The Enders poliovirus group began to disperse, beginning in 1952 when Robbins became a professor of pediatrics at Western Reserve. 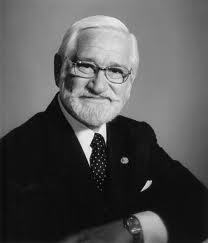 Weller left in 1954 to become chairman of the Department of Tropical Public Health at Harvard. Regardless of whether Enders might have regretted not pursuing the polio vaccine, he soon would play a hands-on role in the development of the measles vaccine. The first critical step in that project occurred in1954, at the time when the Salk polio vaccine was undergoing field trials. It was then that Enders and a new young coworker, pediatric resident Thomas Peebles (Aside 5), succeeded in cultivating measles virus in cell culture for the first time. Peebles monitored the inoculated kidney cell cultures for the next several weeks, hoping for a sign of a virus replicating in them. Seeing no such indication of a virus in the cultures, Peebles made a second trip to the Fay School, which, like the first trip, was unproductive. On a third trip to the school, Peebles obtained a sample from an 11-year-old boy, David Edmonston. The sample from young Edmonston indeed seemed to affect the kidney cell cultures. Still, Peebles needed to carry out several additional experiments before he could convince a skeptical Enders and Weller—first, that a virus had replicated in the cultures and, second, that it was measles. Peebles convinced the two doubters by demonstrating that serum from each of twelve convalescing measles patients prevented the virus from causing cytopathic effects in the inoculated cell cultures. That is, the convalescent serum neutralized the virus. The measles virus growing in those cultures was named for its source. It is the now famous Edmonston strain. Enders, in collaboration with Drs.Milan Milovanovic and Anna Mitus, next showed that the Edmonston strain could be propagated in chick embryos (3). Then, working with Dr. Samuel Katz (1), Enders showed that the egg-adapted virus could be propagated in chicken cell cultures. The Enders measles vaccine was attenuated further by Maurice Hilleman at Merck (9). In 1971 it was incorporated into the Merck MMR combination vaccine against measles, mumps, and rubella (9, 10). The MMR vaccine has had a remarkable safety record, and it was widely accepted until 1997; the time when the now discredited claim that the vaccine is linked to autism first emerged (10). However, even prior to the MMR/autism controversy, vaccine non-compliance was already a problem. But, in that earlier time, parents were declining to have their children vaccinated, not because of safety issues, but rather because they questioned the severity of measles. Ironically, that was why David Edmonston refused to have his own son receive the vaccine. Despite receiving the Nobel Prize for his polio work, Enders maintained that developing the measles vaccine was more personally satisfying to him and more socially significant (3). Vaccine Research Using Children, Posted on the blog July 7, 2016. 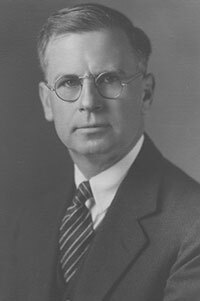 John F. Enders-Biographical, The Nobel Prize in Physiology or Medicine 1954. From Nobel Lectures, Physiology or Medicine 1942-1962, Elsevier Publishing Company, Amsterdam, 1964. Greer Williams, Virus Hunters, Alfred A. Knopf, 1960. Wendell Stanley: First to Crystallize a Virus, Posted on the blog April 23, 2015. .Jonas Salk and Albert Sabin: One of the Great Rivalries of Medical Science, Posed on the blog March 27, 2014. Maurice Hilleman: Unsung Giant of Vaccinology, Posted on the blog April 24, 2014. Andrew Wakefield and the Measles Vaccine Controversy, Posted on the blog February 9, 2015. Maurice R. Hilleman: The greatest vaccinologist. Consider this. Hilleman developed nine of the 14 vaccines routinely recommended in current vaccine schedules. These are the vaccines for the measles, mumps, rubella, hepatitis A, hepatitis B, and chickenpox viruses, and for meningococcal , pneumococcal, and Haemophilus influenzae bacteria. Moreover, he was the first to forecast the arrival of the 1957 Asian flu and, in response, led the development of a flu vaccine that may have saved hundreds of thousands or more lives worldwide (2). And, independently of Robert Huebner and Wallace Rowe, he discovered cold-producing adenoviruses, and developed an adenovirus vaccine. Overall, Hilleman invented nearly 40 vaccines. And, he was a discoverer of simian virus 40 (SV40). If the above accomplishments were not enough to ensure his fame, he also was the first researcher to purify interferon, and the first to demonstrate that its expression is induced by double-stranded RNA. We begin our account of Hilleman’s achievements with his development of the mumps vaccine. In the days before the vaccine, mumps struck about 200,000 children in the United States, annually. Yet except in rare circumstances, the infection was mild, and was generally regarded as a childhood rite of passage. There is a sweetness to the story of the mumps vaccine that I hope you might enjoy. The tale began at about 1:00 AM, on March 21, 1963, when 5-year-old Jeryl Lynn Hilleman ambled into her father’s bedroom complaining of a sore throat. Jeryl Lynn’s father felt his daughter’s swollen glands, and knew in a flash that it was mumps. And, while I suspect that many lay parents back in the day would also have recognized Jeryl Lynn’s symptoms, few would have done what her father did after first comforting his daughter. Although it was already past midnight, Maurice hopped into his car and drove the 20 minutes to his lab at Merck & Co. to pick up some cotton swabs and beef broth. Returning home, he then awakened Jeryl Lynn, gently swabbed her throat, and immersed the swabs in the nutrient broth. Next, he drove back to his lab and put the inoculated broth in a freezer. Hilleman made the early A.M. dashes to his lab and back because he had to leave in the morning for a conference in South America, and his daughter’s infection might have cleared by the time he returned home from there. So, upon his return from South America, Hilleman, thawed the frozen sample from his daughter’s throat and inoculated it into chick embryos. Serial passage of the mumps virus in the chick embryos eventually generated attenuated mumps virus that in 1967 would serve as a live mumps vaccine. We’ll have a bit more to say about the mumps vaccine shortly. But first, a few words about measles and rubella. If mumps was not a major killer, measles certainly was. Before Hilleman and his colleagues introduced their measles vaccine (Rubeovax) in 1962, there were 7 to 8 million measles fatalities worldwide each year, and virtually all of the victims were children. Hilleman developed his attenuated measles vaccine from a measles strain isolated earlier by John Enders. Hilleman attenuated the Enders isolate by putting it through 80 serial passages in different cell types. Rubeovax was somewhat tainted by its side effects; mainly fever and rash. While these reactions were successfully dealt with by combining Rubeovax with a dose of gamma globulin, in 1968 Hilleman’s group developed a new, more attenuated measles strain by passage of the Rubeovax virus 40 more times through animal tissues. Hilleman dubbed the new measles strain “Moraten,” for “More Attenuated Enders.” The new measles vaccine, Attenuvax, was administered without any need for gamma globulin. Our chronicle continues with the rubella vaccine. Rubella poses its greatest danger to fetuses of non-immune pregnant woman, particularly during the first trimester of pregnancy. In up to 85% of these women, infection will result in a miscarriage or a baby born with severe congenital abnormalities. An outbreak of rubella began in Europe in the spring of 1963, and quickly spread worldwide. In the United States, the 1963 rubella outbreak resulted in the deaths of 11,000 fetuses, and an additional 20,000 others born with birth defects (e.g., deafness, heart disease, cataracts). Hilleman had been working on a rubella vaccine at the time of the 1963 outbreak. But, he was persuaded to drop his own vaccine and, instead, refine a vaccine (based on a Division of Biologics Standards’ rubella strain) that was at the time too toxic to inoculate into people. By 1969 Hilleman was able to attenuate the DBS strain sufficiently for the vaccine to be approved by the FDA. Next, and importantly, Hilleman combined the mumps, measles, and rubella vaccines into the single trivalent MMR vaccine, making vaccination and, hence, compliance vastly easier. Thus, MMR was a development that should have been well received by many small children and their mothers, as well as by public health officials. In 1978 Hilleman found that another rubella vaccine was better than the one in the trivalent vaccine. Its designer, Stanley Plotkin (then at the Wistar Institute), was said to be speechless when asked by Hilleman if his (Plotkin’s) vaccine could be used in the MMR. Merck officials may also have been speechless, considering their loss in revenues. But for Hilleman, it was simply the correct thing to do. Sabin had done basic research that perhaps merited a Nobel Prize (3). 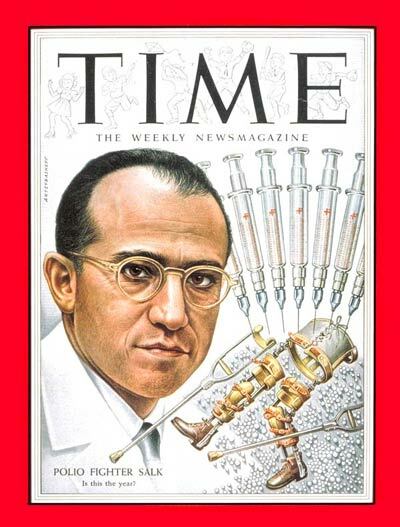 But, the Nobel committee may have felt uneasy about giving the award to Sabin, without also recognizing Salk. Or, perhaps the continual back-and-forth carping between supporters of Salk and Sabin may have reduced enthusiasm in Stockholm for both of them. Yet by virtually any measure, Hilleman’s achievements vastly exceeded those of Salk, Sabin, Theiler, and just about everyone else. His basic interferon work alone should have earned him the Prize. Hilleman’s group demonstrated that certain nucleic acids stimulate interferon production in many types of cells, and detailed interferon’s ability to impede or kill many viruses, and correctly predicted its efficacy in the treatment of viral infections (e.g., hepatitis B and C), cancers (e.g., certain leukemias and lymphomas), and chronic diseases (e.g., multiple sclerosis). What’s more, Hilleman developed procedures to mass-produce and purify interferon. And, regarding his unmatched achievements as a vaccinologist, he did more than merely emulate Pasteur’s procedures for developing attenuated viral vaccines. His hepatitis B vaccine was the first subunit vaccine produced in the United States. It was comprised of the hepatitis B surface antigen (HBsAg), which Hilleman purified from the blood of individuals who tended to be infected with hepatitis B virus (e.g., IV drug abusers). Subsequently, to avoid the potential danger of using human blood products in the vaccine, Hilleman developed recombinant yeast cells that produced the HBsAg. And, Hilleman’s meningococcal vaccine was the first vaccine to be based on polysaccharides, rather than on a whole pathogen or its protein subunits. With Hilleman’s public anonymity in mind, we conclude our account with the following anecdote. In 1998, a Dr. Andrew Wakefield became a celebrity and hero in the eyes of the public. How this happened, and its consequences are troubling for several reasons, one of which is that it brought undeserved suffering to the self-effacing and benevolent Maurice Hilleman. The Wakefield incident merits, and will have a full-length blog posting of its own. But for now, in 1998 Wakefield authored a report in the prestigious British journal The Lancet, in which he claimed that the MMR vaccine might cause autism in children. The story had a bizarre series of twists and turns, with Wakefield and co-authors eventually issuing a retraction. The immediate cause of the retraction was the disclosure that Wakefield, on behalf of parents of autistic children, had accepted funding to investigate a link between the MMR vaccine and autism. The purpose of the investigation was to determine whether a legal case against the vaccine manufacturer might have merit. In addition to the obvious conflict of interest, Wakefield’s paper had serious technical flaws as well. At any rate, a number of independent studies subsequently demonstrated that there is no causal link between the MMR vaccine and autism. And, in 2010 Wakefield was barred by the British Medical Society from the practice of medicine. But the harm had been done. Hilleman had become the recipient of hate mail and death threats. And, more important to Hilleman I expect, many worried parents, even today, prevent their children from receiving the MMR vaccine (5). Ironically, the very success of the MMR vaccine enabled people to forget just how devastating measles and rubella could be. 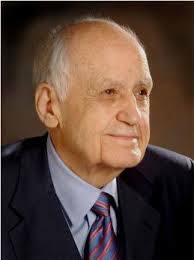 Maurice Hilleman succumbed to cancer on April 11, 2005. 2. Opening Pandora’s Box: Resurrecting the 1918 Influenza Pandemic Virus and Transmissible H5N1 Bird Flu On the blog. 5. Reference 4 contains a somewhat similar tale, in which a 1992 article in Rolling Stone attributed the emergence of HIV to Hillary Koprowski’s polio vaccine. It created a sensation but, as might be expected, there was no evidence to support its premise.